While growing up, Dr. Lynsi often visited the chiropractor, which she attributes to keeping her in good health through her active youth. The chiropractor suggested they visit a chiropractic college, and instantly, Dr. Lynsi liked the environment. She attended a seminar while there and realized that every chiropractor she met seemed to be happy and excited to go to work. The trip made Dr. Lynsi decide to enroll at Life University in Marietta, Georgia. It was during her studies there that she first encountered pregnancy and pediatric chiropractic care. 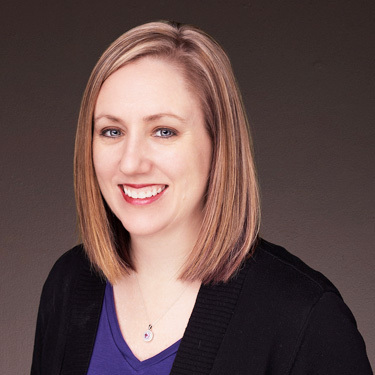 At Clinger Chiropractic Center, she mainly focuses on caring for babies, children and expecting moms. She is a member of the International Chiropractic Pediatric Association (ICPA). I want to help families stay healthy and give them hope when they didn’t think there was any other option for them. Dr. Lynsi was born and raised in South Detroit. She stays busy in her spare time with her husband, young daughter and son. They like to travel and explore together, enjoying our town’s Main Street, going to the Findlay reservoir and other area parks. Dr. Lynsi does crafting, scrapbooking and is a member of BNI®. Contact us today to book your first appointment with Dr. Lynsi! We provide complimentary consultations.